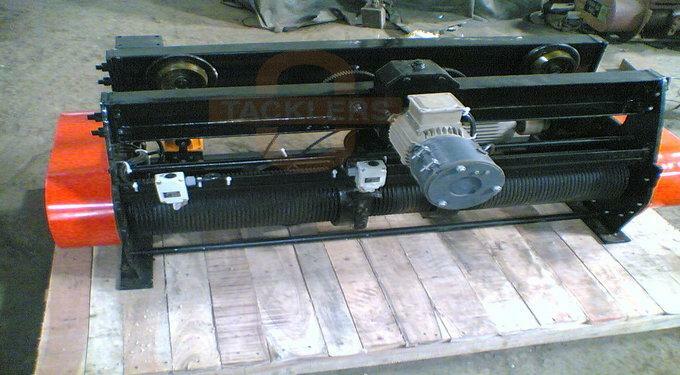 TACKLERS brand offers Electric Wire Rope Hoists to suit your requirements from 0.25 Ton to 50 Ton (250 Kg to 50,000 Kgs). 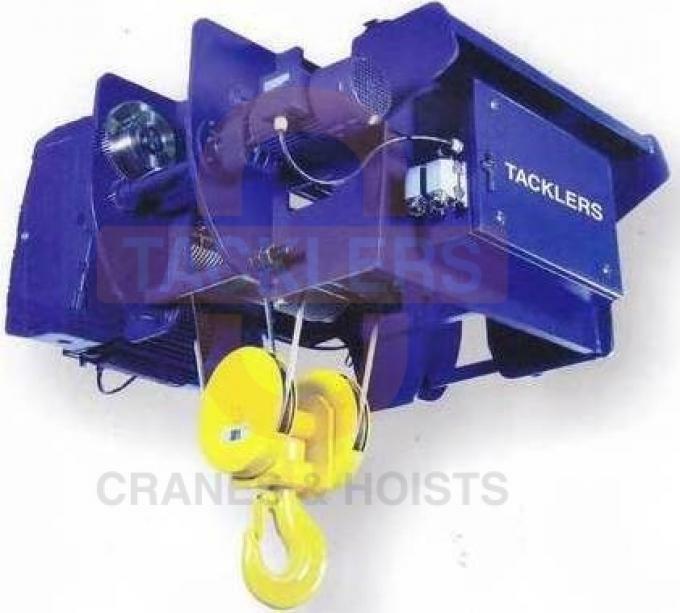 Wire Rope Hoists are designed in modular construction in accordance with IS-3938, while keeping adequate safety in mind while making the Hoist Robust. 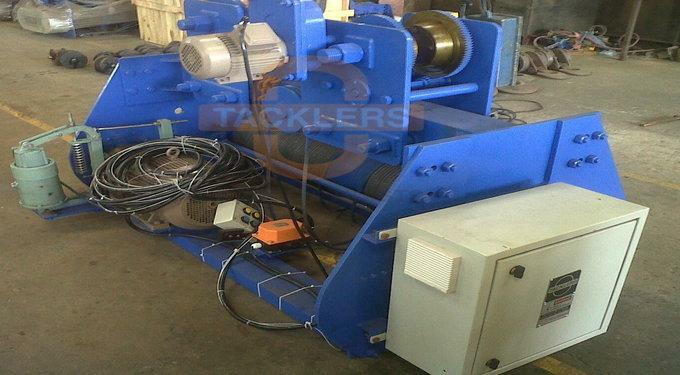 The Rope Hoists have a machined steel frame. 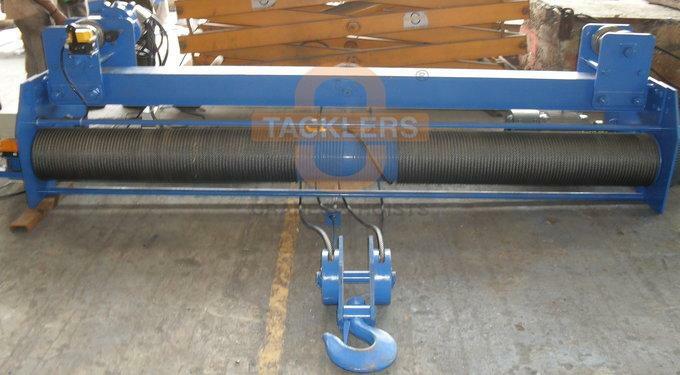 The Rope Drum is made from seamless pipes / steel plate grooved to take full lift without over-winding. The Drum Shaft has ball bearings to ensure smooth running with gears fitted on anti-friction ball bearings in oil bath lubrication. The Motor confirms as per IS-325. 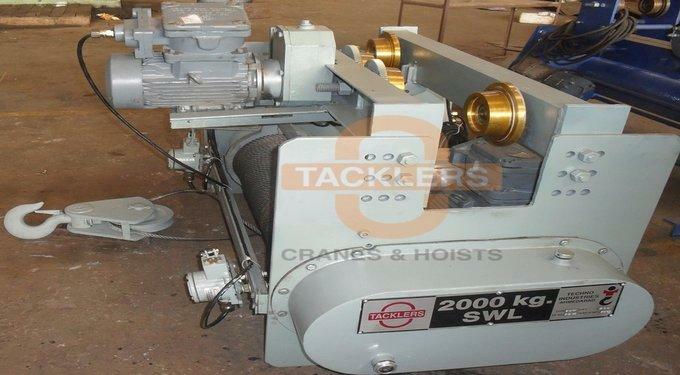 The Wire Ropes are designed as per IS-2266 specifications. The Forged Hooks abide to IS-15560 or equivalent. The Rope Guides are attached to prolong rope life. 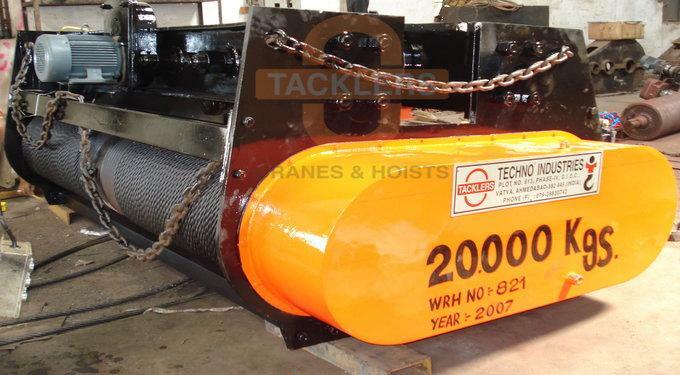 We make Flame Proof Hoists (Explosion Proof Hoists) confirming as per IS-2148 especially suitable for the hazardous conditions and available for Gas Group I, II A, II B, II C.